In the current economic climate, the Internet represents one of the strongest and most cost effective marketing channels available. An online marketing campaign has the ability to transform a business even in times of recession, if it is implemented correctly. Whether you have a limited budget of $1,000 per month or a substantial budget in excess of $20,000 a month, the Internet has opportunities for you to gain maximum return on investment to take your company to the next level. Here is a proven process of growing your business online that we have used time and time again to grow businesses online in a variety of different industries. All online marketing begins with a website. Your website provides the foundation for your online marketing campaign, because everything you do to advertise and market your business online will drive people to your website. It doesn’t matter whether you use search engine optimisation, pay per click advertising, affiliate marketing, email marketing or banner advertising, everything leads to your website, regardless of what industry you operate within. This means your website is the most important element of your online marketing campaign, because as your prospects visit your site, you need to convert those visitors into sales. The better your website is at converting visitors into sales, the more you can afford to spend on advertising, bringing more traffic and more sales – and the faster your business will grow. Therefore the very key to making money online is ensuring you have a website that is set up and designed to convert traffic into sales. The name of the game is to send qualified prospects to your website. A “qualified prospect” is simply somebody who is interested in what you sell, rather than a random online visitor. This is simple to do with search engine marketing, because you specify the keywords that your website will appear for in the search engine results. For example, if you are a law firm, you would want your website to appear if anyone typed in the word “law firm” or “lawyer” – because people who typed in those keyword phrases would most probably be interested in what you sell. However, if somebody searched for “accountant” you don’t want your site to appear, as that traffic is unlikely to be anyone interested in legal services. Search engine marketing can be very profitable if used correctly and is one of the highest response advertising channels available. The fastest way to have your website appear when somebody is searching online for what you sell is through PPC advertising. PPC is simply the process of paying a certain amount each time a user clicks on an ad that appears for a particular keyword search. For example, it doesn’t cost anything for your ad to appear in a Google search for “lawyer”, but it does cost you every time somebody clicks on that ad… which mean you only pay for results. PPC is increasingly becoming more expensive, but it still provides one of the best returns on investment of nearly any advertising channel. You can also determine which are the most valuable words – because even though they may drive a lot of sales, the cost per action (CPA) for a lead or a sale may be higher then your affordable margin because of fierce competition. These keywords are ideal for SEO. After running PPC (with conversion tracking) for about a month, you will have solid information on which keywords are producing sales and revenue for your business, and which are the most valuable keywords you should focus your SEO efforts on. With this data, you can begin to formulate an SEO strategy. This means targeting keywords that you want to rank your website for at the top of the Google. Of course, SEO research should ideally be done before the web design stage so that your website is properly optimised, but can be started even later by using data from a PPC campaign. Once you’ve achieved a top ranking for your most valuable phrases, you can then reduce your PPC spend if budget is an issue. Your strategy really depends on your goals. If your goal is to capture maximum sales in the market, then running a PPC campaign and SEO campaign at the same time is the best way to achieve this. One does not cannabilise the other. For example if your SEO and PPC campaigns generated 50 leads per month each and you stopped the PPC campaign, you would still receive 50 leads a month from the SEO campaign – this wouldn’t increase or be reduced – but you wouldn’t receive the leads from the PPC campaign. Your strategy will depend on your goals and how many leads you can handle… our recommendation is never to stop a campaign that is earning you a net profit. The next step is split testing. Split testing is the process of using software to determine which of two versions of a web page will produce the highest response. For example, you might have a particular page on your website that is producing results, but you aren’t sure which of two product pictures would perform better. With split testing you can test one picture against another on the same page. Half the site visitors will see the first picture and the other half the second picture, and through conversion tracking you can identify which of the two pictures produced the best results. Once the split-test is finished, you should then test something else. Split testing should be done on an ongoing basis with every part of your strategy, including your website and online marketing activities, and it is one of the only ways to continually improve your results over time. 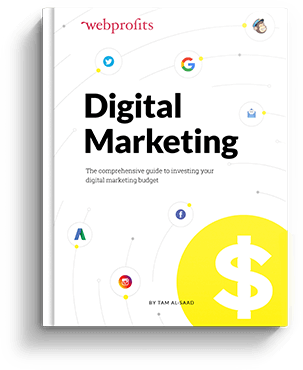 Remember, conversions bring in revenue, and the more conversions that you can achieve from the same advertising budget, the more powerful your company will be in your online market. Think about it… if you can spend more than all your competitors and still be more profitable, how will they ever compete? Establishing yourself as an authority is a critical element in any online marketing campaign, and one of the biggest hurdles or challenges in achieving this is proving your credibility. The best way of doing this is with information and content, and one of the best platforms for sharing this information and content is through a blog. Try to maintain a regularly updated blog where you post an article once a week or fortnight, and ensure this is done consistently. Information here should be 100% informational – no sales messages. The blog needs to come across as helping the reader with no thought of selling them anything. By doing this, you are educating the reader about solutions to their problems and you are setting up your company as the authority in your field. Of course, every time you post an article to the blog you publicise this by sending an email to your database letting them know the article is there, making the email curious enough that they want to click the link and find out what it’s all about. Email marketing allows you to build a relationship with your prospects over time so they feel comfortable enough to do business with you. As part of your original web design, you should have set up a way to capture visitor information from people who visit your website but don’t buy from your right away. By now, after implementing all of the above online marketing activities, you should have quite a sizable email database. 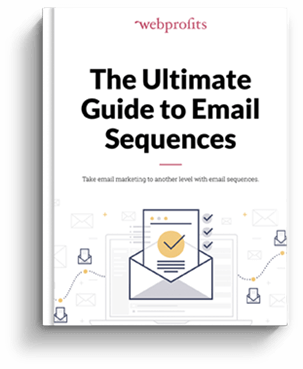 With this database, you can start a hybrid email marketing campaign, split between automated and manual emails. Automated emails are emails sent at a regular sequence, which you set, and are managed through an autoresponder service such as such Aweber.com The aim is to provide valuable information to your visitors and educate them so that you position your company as the market educator. The general rule is to send a ratio of three informational emails to one sales email. The manual element of an email marketing campaign is to send your database an email update every time you post something new to your blog or whenever something interesting happens that they should know about straight away. With email marketing you should aim to send at least one email per fortnight. Once a week of course is better but it depends on how good your information is, as too many sales emails will increase prospects that unsubscribe. Remember, use email marketing to build a relationship with your prospects – don’t go for the hard sell. When you speak of a “landing page”, it can be one of two things. The first is the page a user lands on when they do an SEO or a PPC search and they “land” on your site. The second way to interpret a landing page is that it is a direct response web page with the sole purpose of getting the person to complete a specific action, such as submitting a form. There are no other links on that page, no menu – the only thing that somebody can do is submit the form or leave the site. Landing pages of this variety can be extremely powerful in conjunction with a PPC or banner campaign. Landing pages have been proven to improve conversion from 5% to 50%, depending a number of factors such as the copywriting, offer and sale amount. A landing page can be a successful addition to any online marketing campaign as it can substantially improve the conversion rate of your campaign and lower the CPA. Of course, landing pages must be split tested – to create a landing page without split testing is one of the biggest mistakes you can make because you won’t have any idea about which combination of landing page elements will produce the optimum results. Ultimately, without split-testing, you will be leaving a lot of profit on the table. Banner advertising is used to market to people who are not searching directly on search engines to find your services but may be interested in your offer if they knew about it. They may be reading news, using social networks, reading blogs or checking reviews for products. Banner advertising is very powerful for getting the message out about a product that may not yet be common knowledge and is even more powerful when implemented in conjunction with a PPC and SEO campaign. Banner advertising can be very expensive and can cost you dearly if done incorrectly, but it can be an extremely profitable medium if done right, because the number of people browsing websites substantially outnumbers the number of people using a search engine. In fact, the majority of Internet users on a particular day are not on search engines, they are visiting websites. An effective banner advertising campaign can get your message out there and produce a very good response, if used in conjunction with good direct marketing principles and a solid landing page of the second variety. 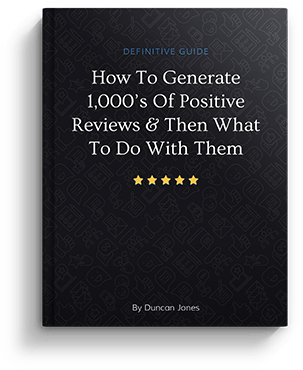 Of course, with everything you do you must track conversions, work out your cost per action, and continually ensure that everything you are doing generates more in profit than it costs. As long as you remember these rules, you can dominate the online market.